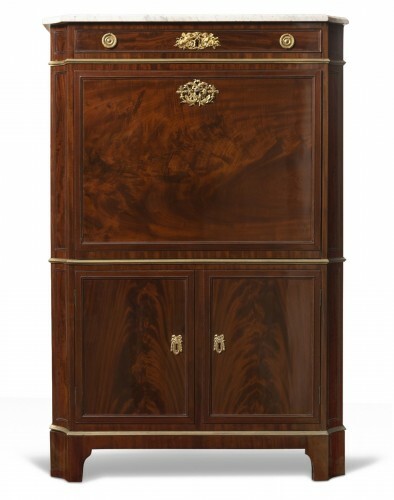 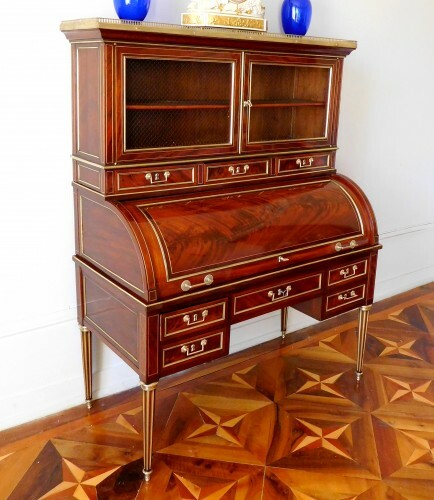 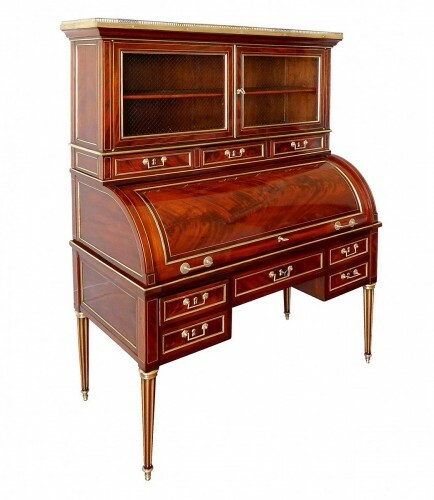 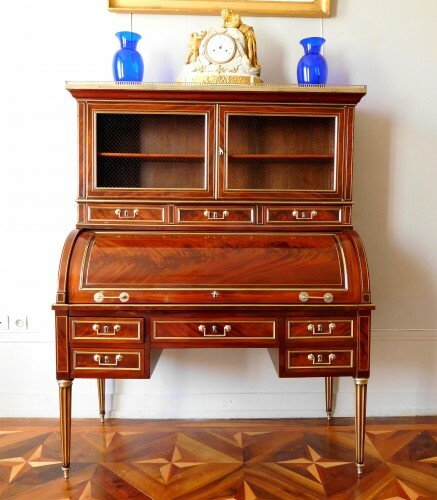 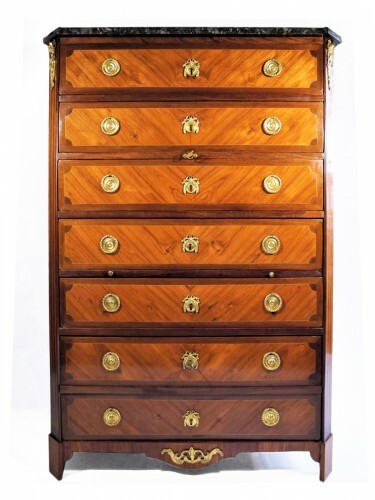 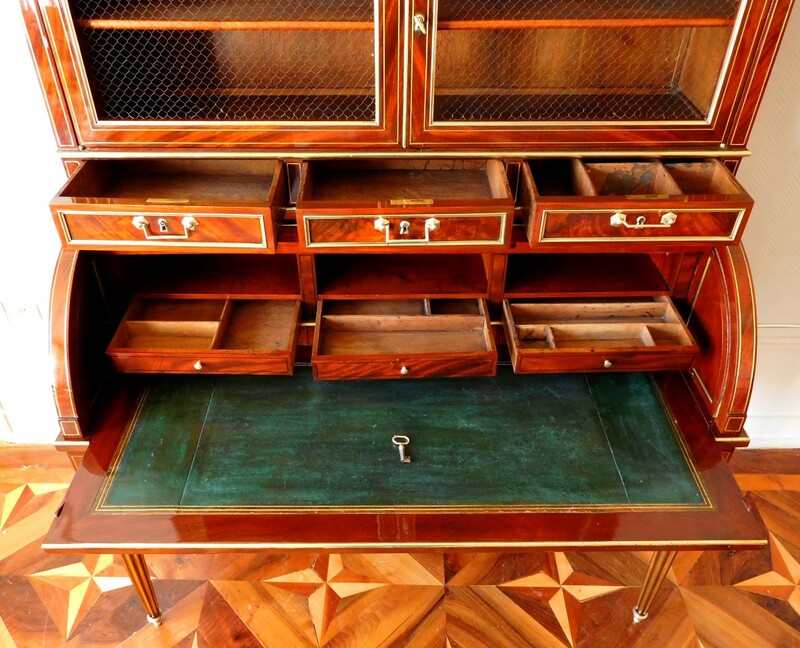 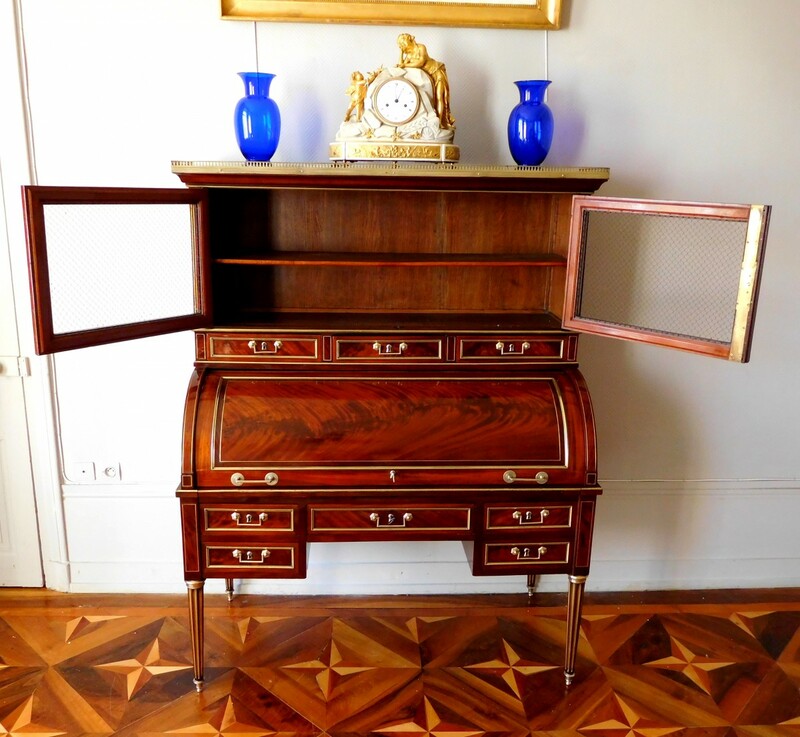 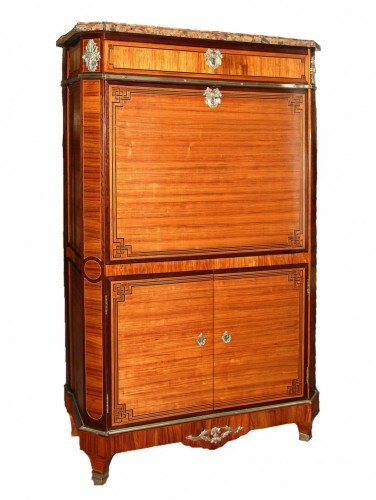 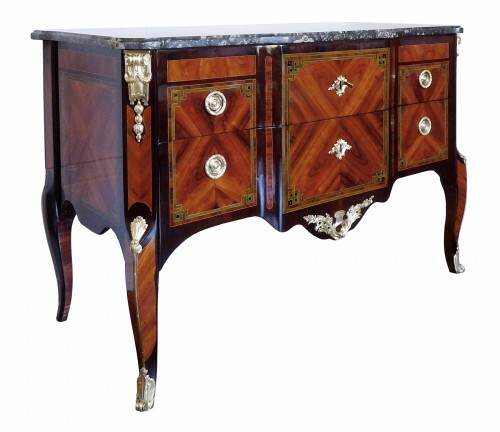 Large Louis XVI mahogany cylinder desk, bookcase integrated on top, France, 18th century circa 1780-90. 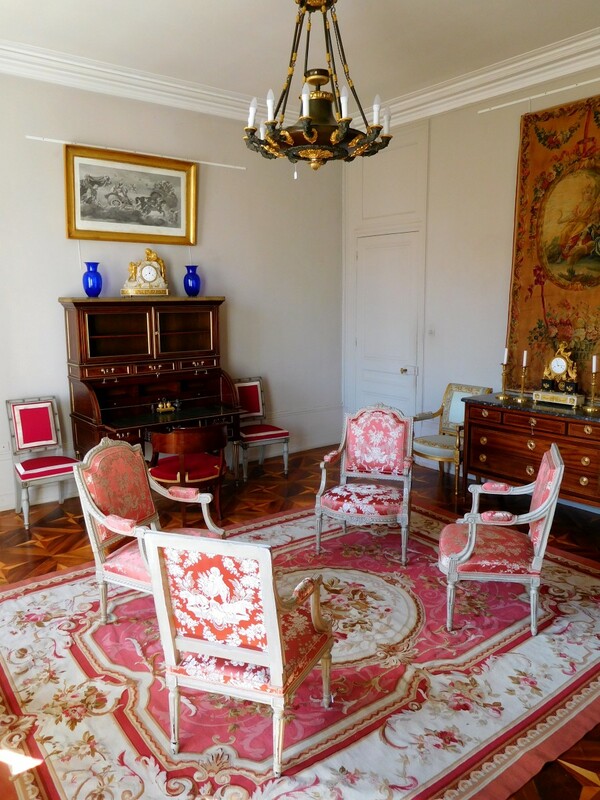 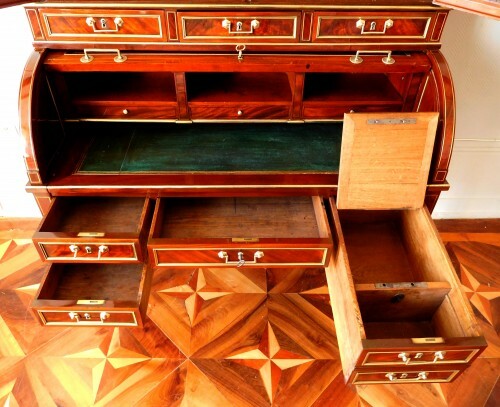 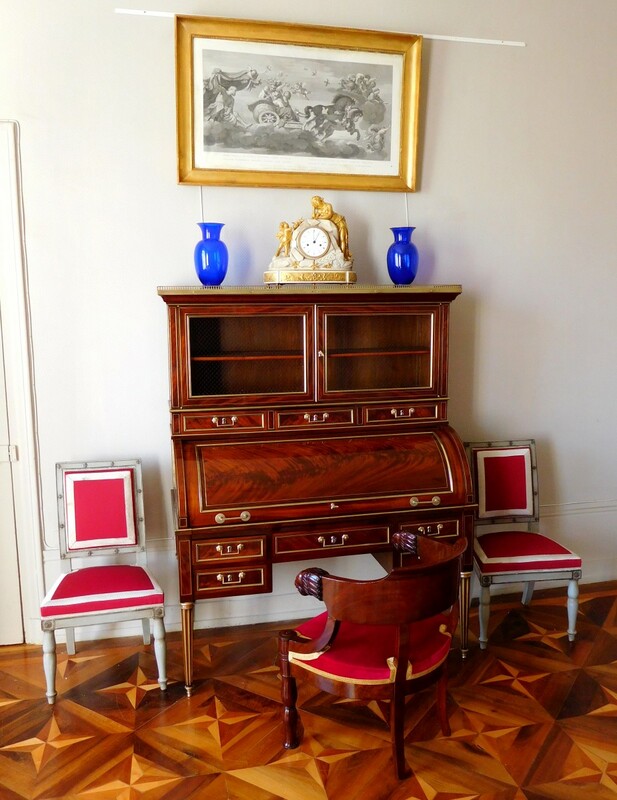 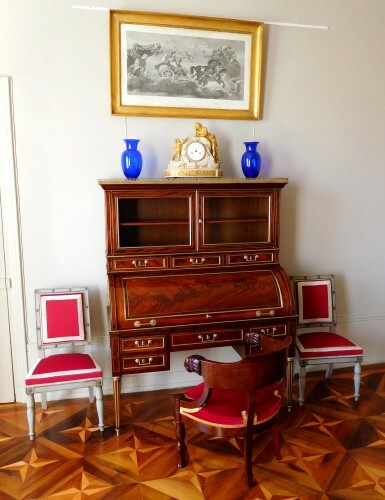 Cylinder desks were created at the end of Louis XV reign ; they are mechanical pieces of furniture, which allows - once closed - to keep the work spread on the desktop confidential. 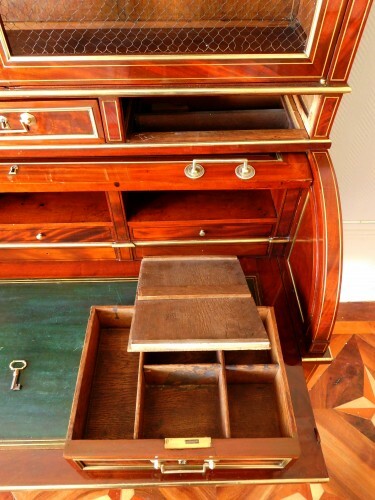 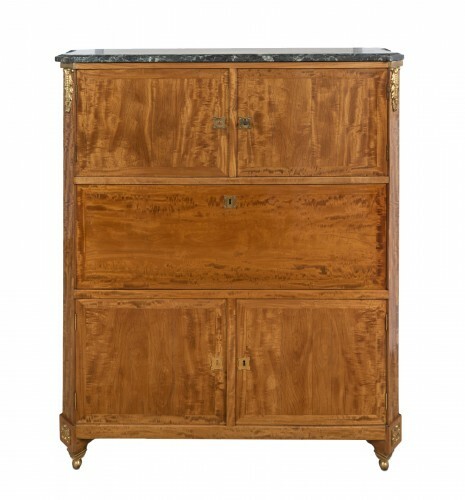 Our cylinder desk opens with a leather-trimmed sliding tray, a bookcase and 6 drawers at the top, 3 small drawers inside the cylinder (including a secret drawer), and 3 drawers under the belt plus a double drawer with a chest inside. 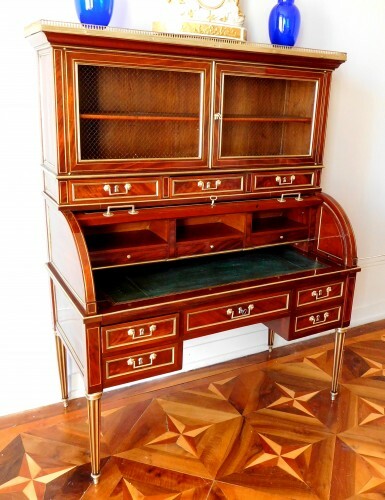 Excellent condition, completely restored with a new varnish. 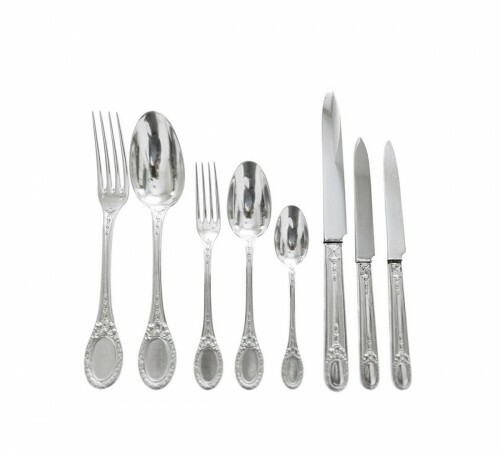 Shiny finish without accidents or lack. 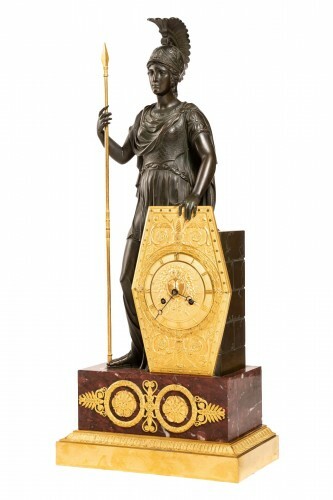 Original gilt leather preserved.